Samsung has announced the introduction of the first Universal Flash Storage (UFS) memory card line-up, boasting capacities up to 256GB and speeds up to 530MB/sec. 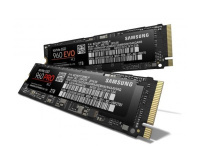 Based on the JEDEC Solid State Technology Association (formerly the Joint Electron Devices Engineering Council) Universal Flash Storage 1.0 Card Extension Standard, Samsung's UFS cards are designed as next-generation replacements for the micro-SD format. According to Samsung's internal testing, its top-end 256GB UFS memory card offers 530MB/sec sequential read performance - some five times faster than 'a typical UHS-1 micro-SD card' - and offers 40,000 input output operations per second (IOPS), bringing performance in line with SATA-connected solid-state drives (SSDs). While 530MB/sec sequential read and 40,000 IOPS is impressive, the performance of Samsung's latest cards does drop below its larger SSD brethren for write tasks. At 170MB/sec sequential write performance, though, it's still comfortably higher than a micro-SD card. With performance down pat, all Samsung has left is to see the UFS card format adopted in consumer devices: while embedded UFS is seeing traction in the industry, micro-SD - and its higher-capacity and higher-performance updates, micro-SDHC and micro-SDXC - remains the majority solution by far. Samsung has not announced availability or pricing for the new cards.